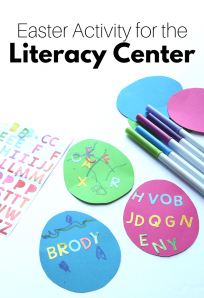 Guest Post by Jenae from I Can Teach My Child! This series has been on my mind for a while now. As a former first grade teacher, teaching children to read is one of my greatest passions! But because most children don”™t start actually “reading” until around 6 years old (which is upwards of the targeted age range for my blog), I didn”™t want parents to feel pressured that their 3-year old needs to start reading (which, by the way, they don”™t!). 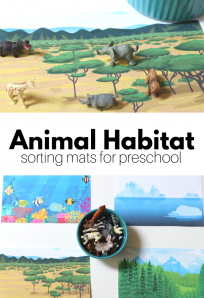 However, the information shared in this series is general information that is beneficial for children of all ages, whether your child is ready to read or not. Don’t implement all of these strategies at once, nor should you expect your child to be able to do everything right away. It is a process and this information is simply for you to implement when you feel your child is ready. 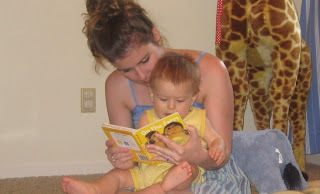 Teaching your child to read is truly a process that begins at infancy. (No, I am most certainly NOT advocating programs that claim to teach your baby to read using flashcards!) What I AM encouraging you to do is to begin reading with your newborn within days of welcoming her home! Not only is this a special bonding time for the two of you, it instills in her a love for books. Enjoyment while reading is one of the single greatest predictors of reading success in school-age children. If children don”™t learn from an early age to enjoy reading, it will most likely hinder their ability sometime down the road. How much you read to your child is completely up to you and your family, but aim to read at least 3-4 books a day, even while your child is very young. As she gets a little older and can sit for longer stretches of time, make it a family goal to read together for at least 20-minutes each day. Asking questions while reading to your child is not only great for encouraging your child to interact with the book, but it is also extremely effective in developing his ability to comprehend what he is reading. You see, if our main objective in “reading” is getting our child to “sound out” words, we have missed the boat entirely. Even children who can decode words and “read” with great fluency still might not be able to comprehend what they are reading. If a child can”™t comprehend what he is reading, there really is no point to reading at all! While your child is a baby, ask him questions such as, “Do you see the cat?” while pointing at the picture of the cat. This will not only develop his vocabulary, it will also encourage him to interact with the book that he is reading. As he gets older, ask him to point to things in the book himself and make the noises of the animals he sees. Once your child is about 2 or 3-years of age, begin asking questions before, during, and after reading the book. Show your child the cover of the book and ask him what he thinks it is going to be about (predicting). While reading, ask him what he thinks is going to happen or why he thinks a character made a particular choice (inferring). If a character is depicting a strong emotion, identify that emotion and ask your child if he has ever felt that way (connecting). At the end of the book, ask if his prediction(s) came true. Afterwards, ask him to tell you what he remembered happening in the book (summarizing). Even if your child is fascinated with books from an early age, her fascination will quickly dwindle if she does not see reading modeled in her home. If you are not an avid reader yourself, make a conscious effort to let your children see you reading for at least a few minutes each day! Read a magazine, a cookbook, a novel, your Bible”¦it”™s up to you! But show your child that reading is something that even adults need to do. If you have a son, share this article with your husband. Sons need to see their fathers read, especially since it is not something that they are naturally prone to doing. As parents, we can sometimes get wrapped up with what exactly our children should be doing to be successful. But we often forget that children often learn by example. Grab a book and take a load off”¦for your child”™s sake, of course! The last two parts of this series will be posted over at I Can Teach My Child! in the coming weeks. Feel free to keep an eye out on Facebook as well! super excited about this series!!!! I, too, am looking forward to this series. While my (4yo) daughter is a great listener (actually both kids love books, they would sit most of the day and have me read to them) she has no interest in learning to read – even though she knows all (OK, most, she is iffy on vowels) her letter sounds. I have bought BOB books and some other first readers, but she just tells me she can’t read. I know they work with her at Montessori, and we talk about what letter does this word start with, but she just wants us to read to her. Maybe has to do with the fact she gets less reading time since her sister came along. Thanks for the post! Georgine- my son said the same thing when I got him the BOB books, they are great for learning but they are not the most exciting … for getting kids excited about reading. Instead I got online with my son and we looked at I Can Read books about Batman , Police, Fire Stations and it’s amazing how much more excited he is to read a few words here and there. 4 is still SO young – but I know as a parent you don’t want to feel like you aren’t capitalizing on some window of opportunity. Becca – sounds like he is in great hands! I started doing flashcards just occasionally with my almost 2 year old. At first, we tried drilling, but that was boring and no one liked it. But then I started giving him 2-3 sight word cards to play with in the car. Now at age 2.5, he can read full sentences and participate in our family scripture study each morning. He’s always reading words off labels that I didn’t know he knew. I’m not saying everyone has to do flash cards; I’m just saying that at a very young age, children are awesome memorizers and flash cards can be one way to provide content. They aren’t “evil” or “cruel”; they’re just one way to teach some principles of reading. Liz I think you hit the nail on the head when you said that they have great minds for memorizing, because with flash cards that is what they are doing. I love the idea of using them to make sentences which is dynamic and fun but other than sight words memorizing is discouraged when learning to read. The reason why is that it doesn’t teach children how to decode the word and while they may be able to climb that “ladder” if you will it doesn’t connect up to other words. Parroting / Memorizing is it’s own island , when teaching children to read holistically they learn step by step . Does that mean kids who use flash cards will be harmed – no . But skipping important steps can be very detrimental, when the frustration over not being able to remember all the memorized words. They need the skills to read any unfamiliar words not just things they have memorized. I don’t think flash cards are evil – there are some great uses for them( especially for non verbal or children with other special needs) but their uses for typical learning is in my opinion limited. I guess I’m one of those weirdies who thinks that “decoding” or phonics is just a stepping stone in itself. After elementary school, if you’re still doing any phonics at all on the word level, it’s slowing you down horribly. Eventually, all readers memorize everything. Even kindergarteners get frustrated with decoding because it takes them so long to read sentences it would take them seconds to say. It just doesn’t seem to match up to me. But then, of course, phonics never really stuck with me, although I was taught in kindergarten like everyone else. I thought it was hard and confusing, especially since it doesn’t really work for about 50% of the words in English. But then again, I was an early reader–I was reading “The Chronicles of Narnia” in first grade, and other than pronouncing Aslan and Narnia wrong for a while, the lack of phonics didn’t really hurt my comprehension. I’m also coming at this from the perspective of someone who taught speed-reading in college. In speed reading, sounding out words is only a hinderance. It only slows you down. You start moving to word-level and then phrase- and sentence-level recognition, where you can tell a word in a glance and a sentence in a second. On the other other hand, my son has gone on to learn phonics (mostly self-taught through starfall.com and watch Word World on PBS over the course of six months or so) and can now basically sound out most words he doesn’t know. However, if a word is long enough (like “information”) he’ll just say, “What’s that word?” because it’s faster. And he’ll remember it. And know what it means next time. So I don’t really see an inherent advantage in phonics, is what I’m saying, I guess. I agree entirely, Liz. As a child of the late ’60’s I was taught to read at 4 by my Mum using Doman’s “Teach Your Baby to Read” kit, and I’ve been a keen and fluent reader ever since. I think I’m a much more fluent reader than my husband, who learned phonically, although I’m also quite able to sound out words when necessary – I think young children are perfectly able to figure out the rules instinctively for themselves once they’ve seen enough words. Oh for sure. A lot of the first words my son learned were things we saw while out shopping: “open”, “exit”, “entrance,” etc. However, I don’t think flashcards are any more unnatural than labels. Our kids are surrounded by printed text, so why shouldn’t printed text be one of their playthings? I LOVE this article. I think often times parents get carried away with ‘one upping’ each other and push their kids to ‘read’. They totally miss the point of reading- comprehension- and then their kids are not really reaping the benefits of good readers. I can easily sound out words in Spanish and ‘read’ like I know what I’m talking about… but am pretty sketchy with my limited Spanish as to what I just ‘read’. I’m all for encouraging a love of reading and understanding what they are reading!!! Thanks! Thanks! This is great and I look forward to the next post! I taught first grade also and just LOVED it! Teaching the kids to read was my favorite part. I think this is a wonderful post. I have to say, that after looking at the Bob books I was not impressed. I used guided reading so maybe that is why I didn’t like them. But yes, 4 is very young and just like anything else some kids are ready a little sooner and others take a little longer. I’m working with Pre-K children this year, as a Language Enrichment teacher, focusing on reinforcing things they are learning in the classroom. The children range in age from 4-6. A problem I’m having at the moment, is they can tell me the sound a letter makes, but when we were sorting some words as to what sound it started with, many of them can not hear the sound when they hear the word. For instance B makes a Ba sound, and bear begins with b, but if they hear the word without seeing it in print, many can’t hear the b sound, and just guess which letter it begins with. Not sure how to address this other than just keep practicing. This isn’t the only activity we do so I’m sure we will hit on another way to get around it. Just found it interesting. It’s interesting, watching your kids as your family grows. My six-year-old twin boys were only mildly interested in books when they were babies and toddlers. They are now in kindergarten and learning how to read. My almost 2-year-old son wants to do everything his brothers do. When we sit down to read he gets his books and brings them to me to read. *His* books are their books, though, LOL, not toddler books. He sits and reads to himself by pointing to each word as he reads like we do. It will be really interesting to see if he actually reads earlier than his brothers did. I love your advice for parents. I just liked your Facebook page. I don’t usually leave links, but I’d really like you to check out something I wrote along the same lines as your reading series. 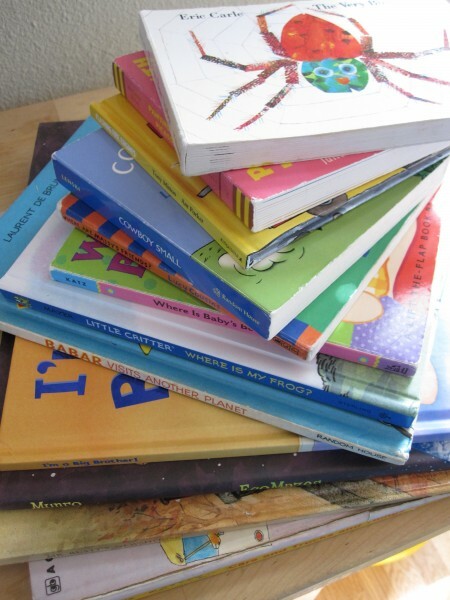 My blog is filled with tips and resources for parents teaching children to read. I love to connect with bloggers who share my passion for helping parents be teachers of their children. I’m adding your blog to my blog list in the sidebar of my Beginning Reading Help blog. The information you are sharing with parents is wonderful! You are making a difference in the lives of many parents and children. I’ve been thinking about doing a similar series. I really want to focus on teaching a love and respect for books. 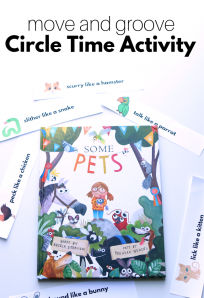 Simple ideas like following the text with a finger to introduce kids to where the story is coming from, and discussing the author and illustrator are things I want to cover. My own love for books (and libraries) drives my passion for reading with my kids. . . but my experience ends with preschool. My son, 5 1/2 will be starting kindergarten in the fall. It is really neat to see his interest in letter sounds, and word recognition blossom almost on it’s own. (I’ll take a little credit;) I can’t wait to read more of this series, I want to have a strong idea of how I can continue to encourage his love of the books and reading. My daughter is 3 1/2 years old and she is reading on her own. she knows all the sounds of the alphabet and knows how to sound out letters. i never pushed it on her, she just decided to pick up a library book i had not read to her and sound out all the words phonetically. she is also doing kindergarten level math, so i am not surprised. many think she is memorizing words,but she is actually sounding out the words. for example, in the store she sounded out the movie title smurfs and she has never seen that before. so i just wanted to say that it is possible for 3 and 4 year olds to actually read. My son was an early reader too and I don’t doubt your daughter can read. I think the guest writer’s concern was that people think all children should be reading and something is wrong if they aren’t at that age, when it’s the exception not the rule and not something to push since that can actually slow the progress and love of learning. So many parents feel stress when it comes to reading and teachers know that the window is a wide one when kids will start reading independently. I remember the first time I knew my son was sounding out a word he’d never seen and I’d been thinking he’d just memorized them previously – it’s an exciting day ! My kids are grown, so it’s been a long time. I just wanted to share that on one of our library trips, we found the book “I’ll Teach My Dog 100 Words”. It’s in the Dr. Seuss series, but not written by Dr. Seuss. It was a fantastic starting point for my young reader! Thanks for this post and for writing this series. I agree that you teach kids by example. If your kids do not see you reading books or magazines then they would not be interested in doing the same. I have a 3 year old son and a 2 year old daughter, they enjoy browsing books and love it when we read the book together.